The technical rules of swimming are designed to provide fair and equitable conditions of competition and to promote uniformity in the sport. Each swimming stroke has specific rules designed to ensure that no swimmer gets an unfair competitive advantage over another swimmer. Trained officials observe the swimmers during each event to ensure compliance with these technical rules. If a swimmer commits an infraction of the rules that is observed by an official, a disqualification (DQ) will result. This means that the swimmer will not receive an official time and will not be eligible for an award in that event. A disqualification may result from actions such as not getting to the starting blocks on time, false starting, and/or performing strokes in an illegal manner, or unsportsmanlike conduct. Butterfly: Alternating movements of the arms or legs; pushing the arms forward under instead of over the water surface (underwater recovery); a breaststroke style of kick; touching with only one hand at the turns or finish. For beginning swimmers, a disqualification should be treated as a learning experience, not as a punishment. 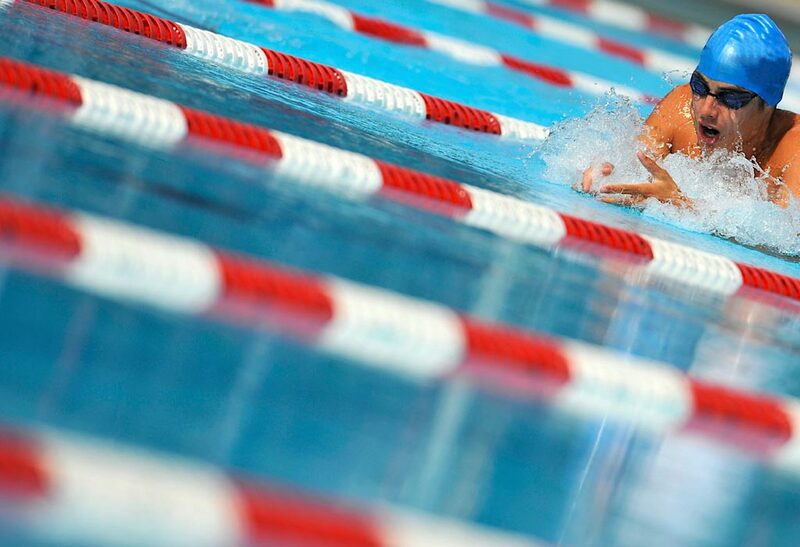 A disqualification alerts the swimmer and coach to what portions of the swimmer's stroke need to be corrected. They should be considered in the same light as an incorrect answer in schoolwork-they point out areas that need further practice. Disqualifications are necessary to keep the competition fair and equitable for all competitors. A supportive attitude on the part of the official, coach, and parent can make a positive situation out of the disqualification. The Swimming Rules of Swim Canada can be found here.